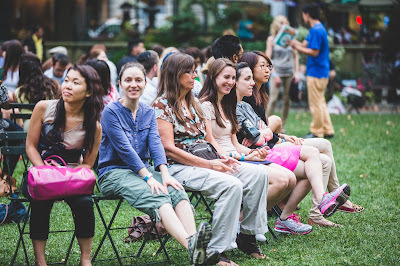 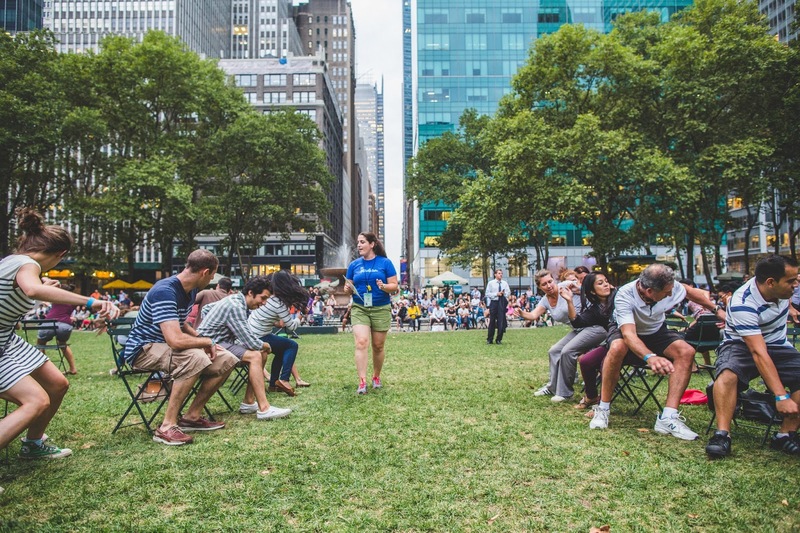 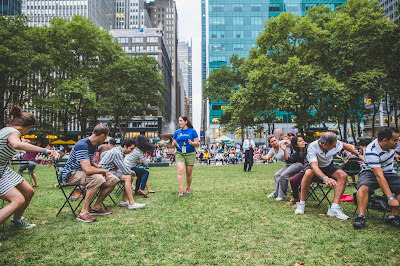 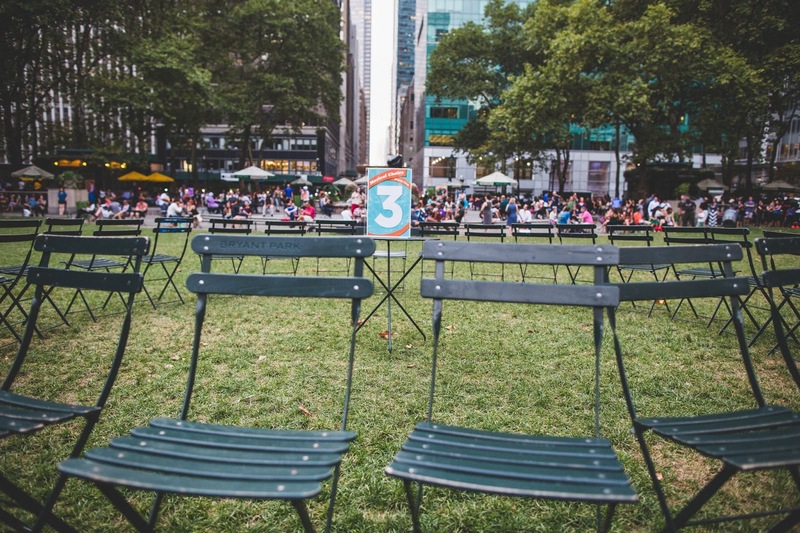 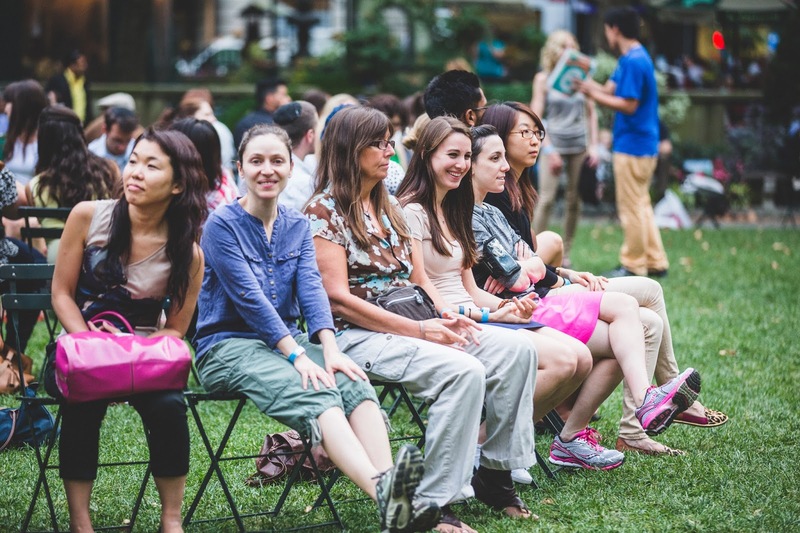 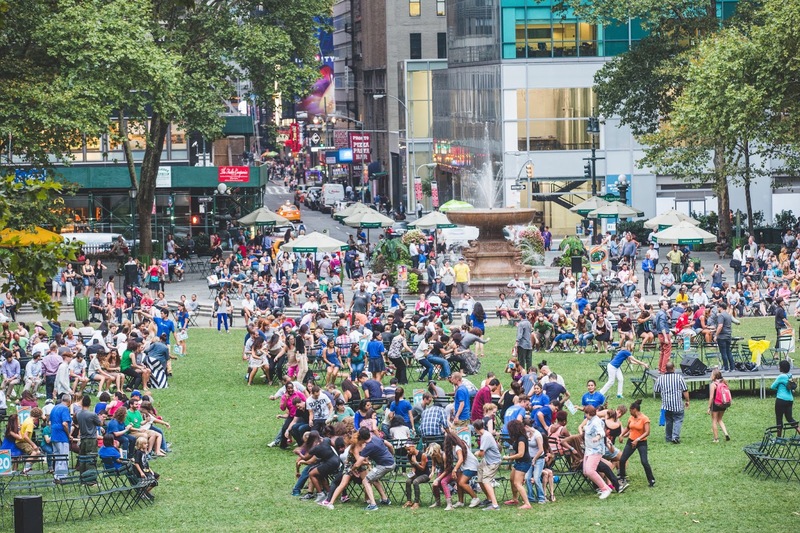 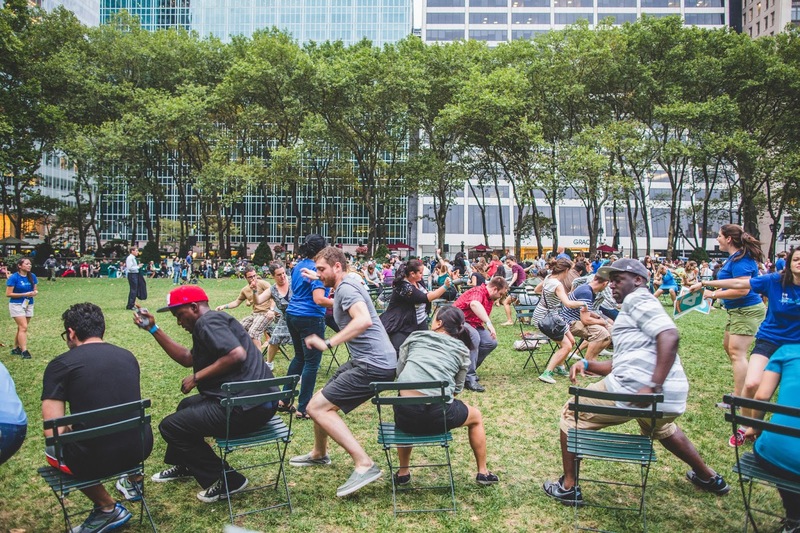 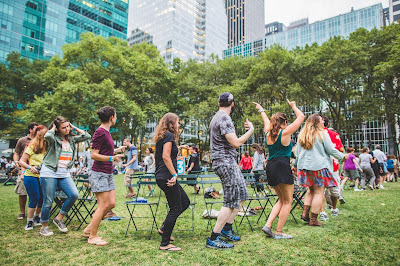 Last week at Bryant Park, we (finally!) got to play our large scale game of Musical Chairs on the lawn. 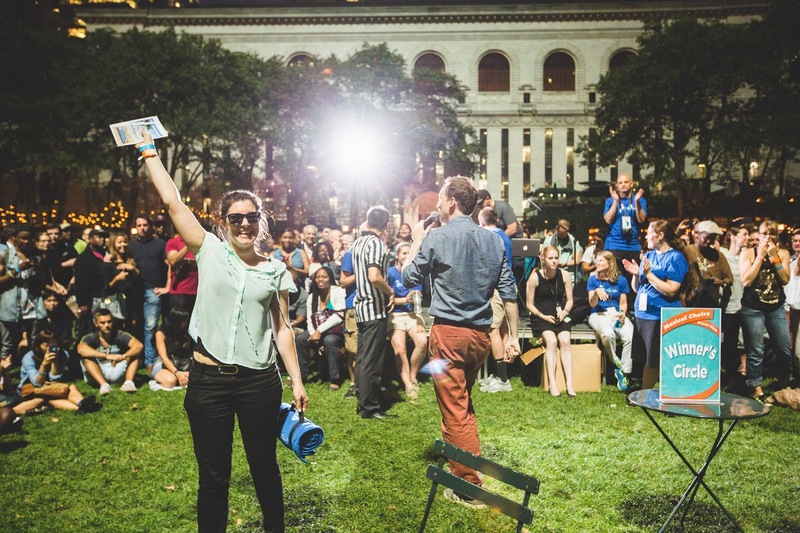 The 2nd annual competition had been held off by the rain since the beginning of the summer. 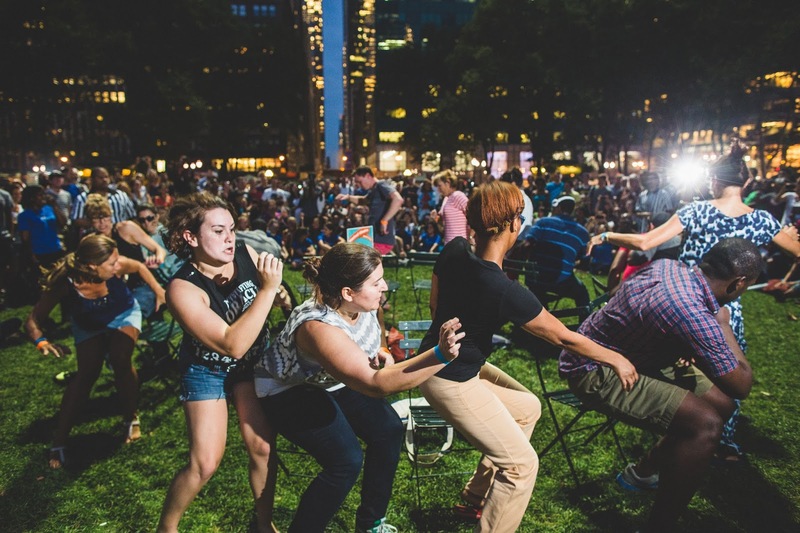 This time, we couldn't be stopped. 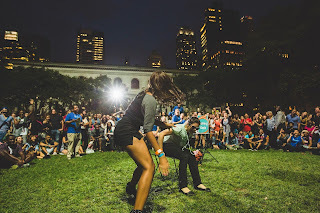 Tom Shillue and DJ Mike Device took the stage to keep everybody moving and grooving... until, of course, the music stopped and the real competition began. 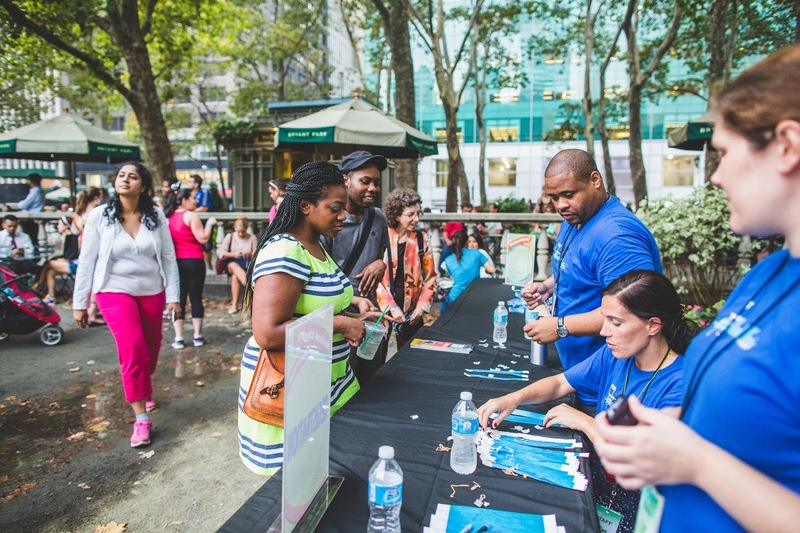 Although the weather was a little ominous, we made it through the Winners’ Circle to have one lucky winner! 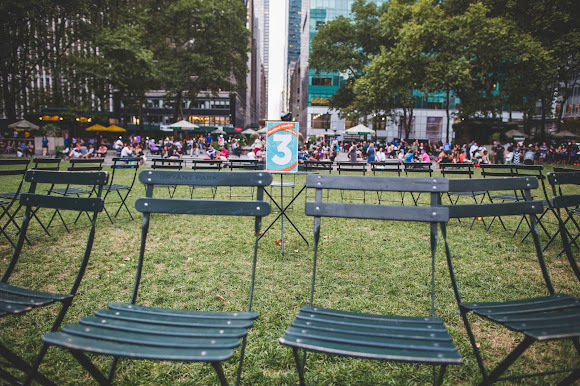 The spoils of the win were two Southwest Airline tickets and an iconic Bryant Park chair. 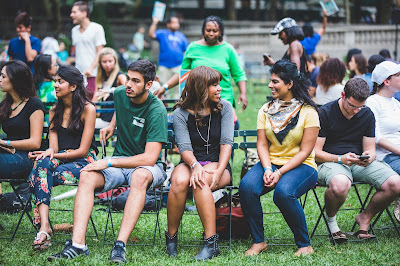 Other participants got a free t-shirt and semi-finalists received a Film Festival blanket. 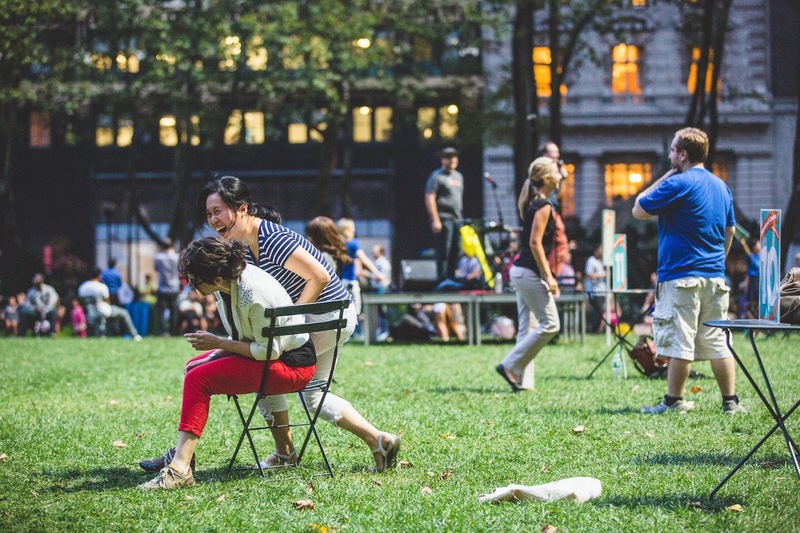 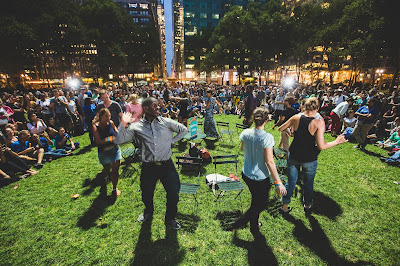 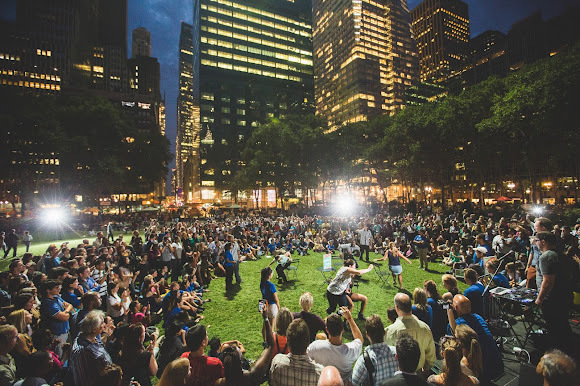 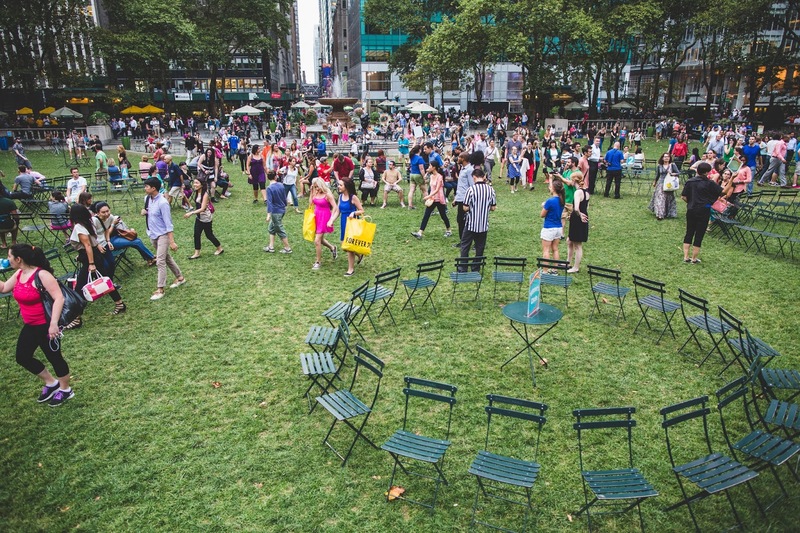 A night full of laughter, dancing, and fun ended under the lights at Bryant Park with only one chair remaining. We can’t wait for next year’s Musical Chairs! Click photos below to enlarge.